Candidates seeking details about Allahabad University Under Graduate Admission Test (UGAT) 2018 can check the complete details about the exam from this page. To start with, the AU UG Admission Test will be held for the intake of candidates in regular B.A, B.Sc, B.Com, B.F.A, and B.P.A courses. Candidates who are willing to take admission in Allahabad University UGAT 2018 must check the details like eligibility criteria, exam schedule, application form, admit card, exam pattern and result form article given below. 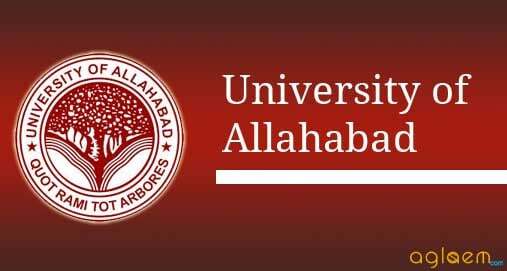 Latest: The date of counselling for Allahabad University UGAT 2018 has been released. Candidates can check it from below table. Allahabad University has released schedule for admission to various UGAT courses for the year 2018. Candidates seeking admissions in the university must check the eligibility criteria of that specific course they are wishing to apply for. Schedule for various events of AU UGAT 2018 is given below. Date of Admission Test 19 May 2018 – B.A. 19 May 2018 – B.Sc. (Home Science), B.F.A. & B.P.A. 20 May 2018 21 May 2018 – B.Com. Admission will start in the Last week of June 2018 by the process of ‘Counseling’. The details of information regarding the counseling will be published in local newspapers, and will also available on the website www.auadmissions.com or Admission-2018 link of www.allduniv.ac.in and no inquiries in this regard will be entertained. The purpose of ‘Counseling is to help provide information regarding the availability of seats in accordance with the merit. The Counseling and admission will be done separately and simultaneously in University and its constituent colleges. The candidate will be required to present themselves in person for the Counseling and admission/allotment of subjects combination on the date, time and place already announced. If the candidate does not turn upon such date/time along with the required documents, he/she will forfeit his/her claim of admission to the particular course/combination of subject and the candidate next in merit will be accommodated against such seat/combination of subjects. Notice: Click here to check the notice of online counselling. An applicant who has passed or appeared in any stream of the Intermediate Examination conducted by the U.P. Board/C.B.S.E./I.S.C. or an examination equivalent thereto is eligible to apply for the Undergraduate Admission Tests for B.A., B.F.A., and B.P.A. An applicant who has passed or appeared at the above examination with Science Group is eligible to apply for the Undergraduate Admission Test for B.Sc. (Maths & Biology group respectively). Only such female applicants who have passed or appeared at the above examination either with Art/Science Group/Agriculture/Trade are eligible to apply for B.Sc. (Home Science). The candidate who has passed or appeared in the above examination with Commerce stream or Science stream will be eligible for admission to B.Com. For BA (Music)/B.P.A. Application Forms for only those candidates would be considered who have Music as one of the subjects at Intermediate level or they have passed an equivalent examination in Music from a recognized Institution. Note: A candidate who holds a Bachelor’s Degree in any stream is not eligible to apply for any of the streams of UGAT-2018. Candidates who are sure of satisfying the eligibility criteria are also advised to check the application process. Registration for UGAT-2018 can be done only by Online Registration at www.auadmissions.com or Admission-2018 link at www.allduniv.ac.in. Fee (A) Rs. 700/- for General/OBC candidates. (B) Rs. 350/- for SC/ST/PH candidates. Candidates who will submit fee and form properly will be issued the admit card. The admit card of the exam will be issued few days before the exam. Admit Card for all the eligible applicants shall be available on the University website www.auadmissions.com or Admission-2018 link of www.allduniv.ac.in. The applicants will download their Admit Card by providing their application ID and password. The Admit Card shall only be made available to those applicants whose registration (Online) form is complete in all respect. The University shall not be any case provide the Admit Card through post or University Center. Out of seven subjects, namely Civics, Economics, Geography, History, Logic, Sanskrit, and Urdu each subject will have 25 questions of Intermediate level. The candidate will have to opt any three subjects from amongst these and shall answer all the questions from the three subjects so opted. There will be 40 questions in each of the following four subjects: 1. Physics, 2. Chemistry, 3. Mathematics and 4. Biology. Candidates of Maths stream have to select 120 questions from Physics, Chemistry, and Mathematics, and that of Biology stream have to select 120 questions from Physics, Chemistry and Biology. Paper will consist of 150 multiple choice objective questions of 2 marks each. For each correct answer, 2 marks will be awarded and 0.5 marks will be deducted for every wrong answer. The Questions will be based on Music (Vocal, Sitar & Tabla) of Intermediate Level. The result of the examination will be announced within fifteen days of the examination date. The results of UGAT-2018 will be announced in the Second week of June 2018. The results will be available on the website www.auadmissions.com or Admission-2018 link of www.allduniv.ac.in. 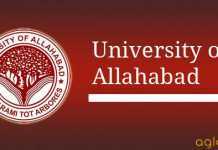 For more details about Allahabad University UGAT 2018 – Download Information Brochure.